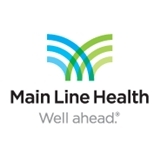 Main Line Health - Family Medicine At Exton Square (Exton) - Book Appointment Online! We offer comprehensive medical care to patients of all ages including EKGs, immunizations, cancer screening tests, routine blood, vision and hearing studies, newborn and well-child care, allergy injections, geriatric care, and gynecological exams. Dr. Conwell has been my PCP for 5 years. He's very professional, caring, and has an excellent bed-side manner. I find him to be well-educated, careful and helpful. I would cheerfully recommend him to anyone. As new to the area, I feel lucky that I chose Dr Melrose as my primary care physician. He gave me the best annual physical exam that I have ever gotten. He took his time, asked all the right questions and ordered all the right tests. I left his office feeling completely satisfied with the service I have received. The staff was polite and efficient, and the wait less than 15 minutes. You'll be happy if you see this Doctor. New to the area and found Dr Kleinman online. She’s great attentive, compassionate, everything you’d want in a primary care doctor. Awesome!! Dr was so nice as was the whole staff.